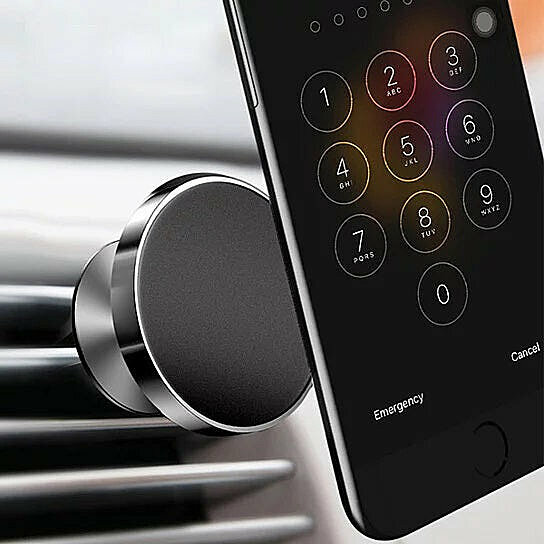 To use as a magnetic mount, place this device into your car's air vent easily and use it to attach and detach your phone securely and comfortably so you can focus on the road while following the GPS instructions, no need to hold the phone or fear of dropping your prized possession! You get the mount that works with any make or model of your phone. The magnetic mount comes in Black. The metal adhesive disk is included.